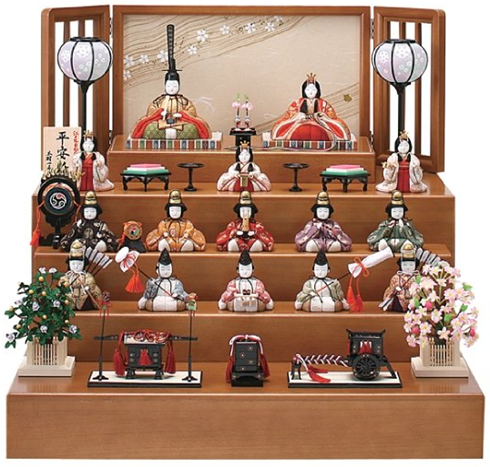 Hina Matsuri or “Doll Festival”, is celebrated in Japan on March 3rd every year. “We decorate Hina-dolls with flowers of peach and field mascard (canola) on ‘Hina Matsuri’. 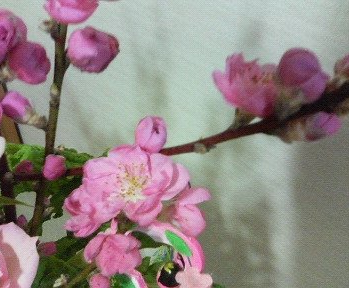 These below are flowers of peach.” The peach blossoms are thought to repel evil. Today is a Happy Dolls’ Festival. You can read more about Hina Matsuri in a previous posts I’ve written about it by clicking on the links below. You can visit the Mama Lisa’s World Hina Matsuri Song Page for sheet music to this song. Many thanks Ayako Egawa for sharing her photos with us about Hinamatsuri and for commenting on them, to Sakura and Hatsami for singing the Hina Matsuri Song and to Peter Galante of Learn Japanese with JapanesePod101.com for allowing us to use this wonderful recording! The recording is from their podcast about the Hina Matsuri Festival (it’s mainly in English). 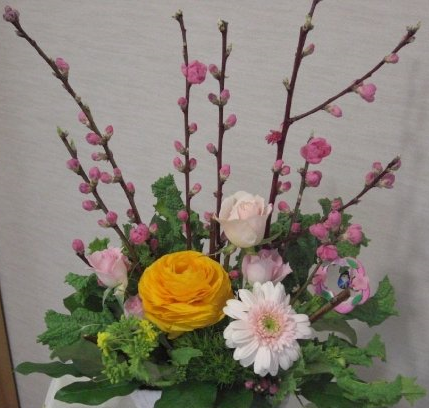 This article was posted on Thursday, March 19th, 2009 at 3:08 pm	and is filed under Children's Songs, Countries & Cultures, English, Hina Matsuri - Doll Festival - Girls' Day, Hina Matsuri Song, Hina Matsuri Song, Hina Nagashi Matsuri - Floating Dolls Festival, Holiday Songs, Holidays Around the World, Japan, Japanese, Japanese Kids Songs, Languages, Mama Lisa, MP3 of Hina Matsuri Song, MP3's, Recordings of Songs, United Kingdom. You can follow any responses to this entry through the RSS 2.0 feed. You can leave a response, or trackback from your own site. I am a student and for a project, I have to do a report on Hina Matsuri. I just wanted to thank you for putting this on the web–it’s been so helpful, and it’s given me a great advantage, being that I can listen to the music. [This is a band project]. I was simply wondering if you could list the instruments needed to perform the Hina Matsuri Song..? I understand you might be busy, so no worries, but thank you for this wonderful article anyways! << Can Anyone Help with a Greek Kids Song?